This is a great addition to your Preemie Reborn Babies. 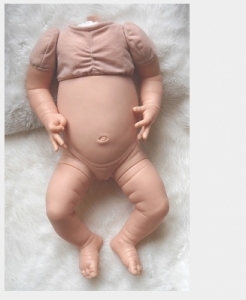 This is a great addition to your Reborn Babies. Unpainted Vinyl Boy Half Torso, Suede Body & #15 Limb Set. for 18" Doll Kits by Adrie. Create your perfect Dream Baby with these limb sets. Unpainted Vinyl Girl Half Torso, Suede Body & #15 Limb Set. Unpainted Vinyl Tummy/Belly Plate by CradleKits. Unpainted Tummy/Belly Plate by Real Effect. 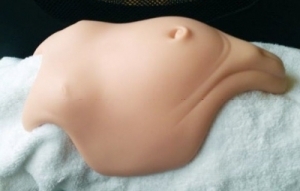 Great addition to your Reborn Babies. 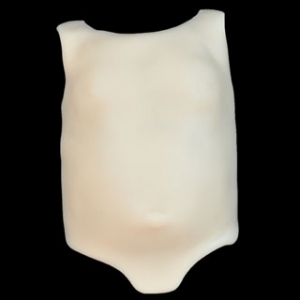 Unpainted Wrap Around Vinyl Non Sexed Tummy/Belly Plate. Designed by Linda Murray - Fits 18"-20" Babies. A great addition to your Baby. is made of the softest vinyl, so your baby will still feel very cuddly. is made of the softest vinyl. Unpainted - Choose Girl or Boy Plate. Unpainted Newborn Vinyl Tummy Plate. Includes Unpainted Vinyl Girl Torso, 1/2 Suede Body & Limb Set. Great for Emma & Bo Elle. when using (Genesis) Heat Set Paints. Choose from Cream or White. Terrific for your 'Just Born Reborn Baby'.